Harvest Share - Affordable Veggie Box. Removing barriers. Supporting families. 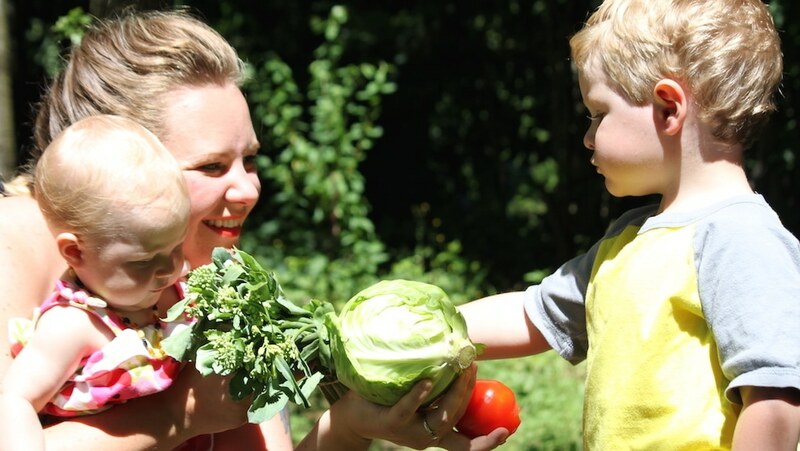 Building community through local food. Everyone deserves healthy, nutritious food. 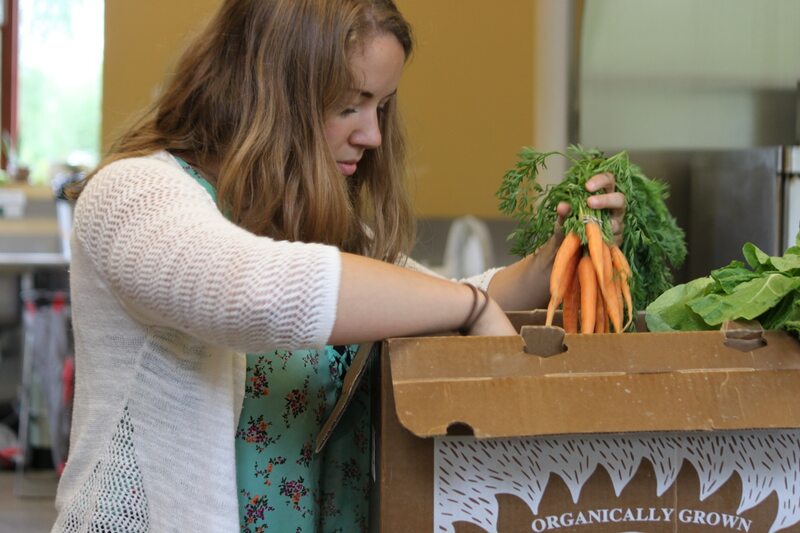 We created a veggie box program for people living on limited resources to be able to afford access to local, organic produce. 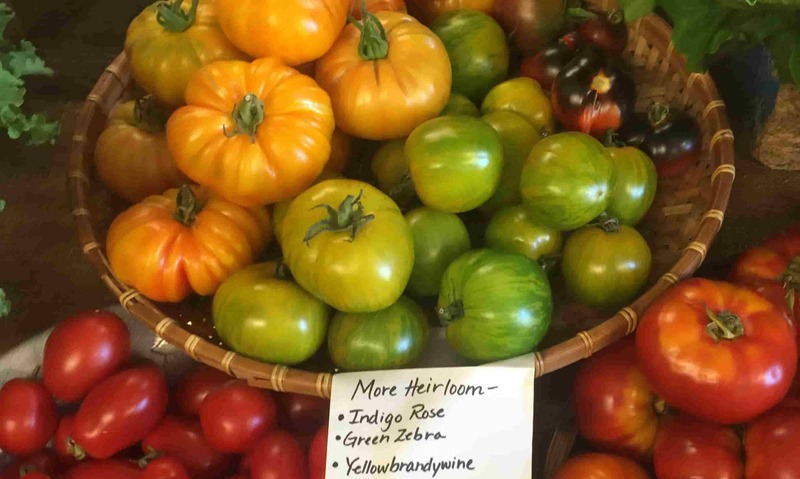 Our 21 Acres veggie box program, known as Harvest Share, provides a weekly produce box full of the tastiest fruits and vegetables grown by farmers here in the Puget Sound without the use of any synthetic fertilizers, pesticides, or nasty chemicals. Read below to learn more about session beginning and end dates, locations, and the variety of payment methods, including SNAP (Supplemental Nutrition Assistance Program/ EBT) benefits available to Harvest Share members. Harvest Share season is early to mid June through early to mid November with multiple sessions during that time. There are two convenient pick up locations -- choose the easiest option for you: Woodinville or Kenmore. 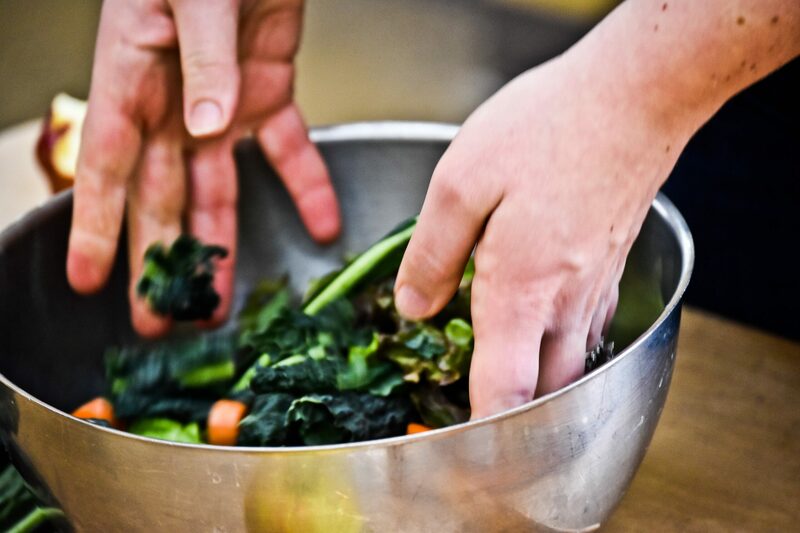 The Harvest Share supports people with limited resources who want to eat locally grown sustainably produced food. Curious about Harvest Share at 21 Acres? Have more questions? Find answers and more information here or by contacting Meghan Tenhoff, [email protected], or calling 425.481.1500. Select either a Half Share, 5-7 veggie items $12 ($6 with EBT), or a Full Share, 7-9 items with fruit $20 ($10 with EBT). We accept Fresh Bucks. Participate all season from June through mid November or shorter sessions during that time. This program is for members of our community who rely on limited budgets to access nutritious locally grown food. Download the 2018 Harvest Share enrollment Form, fill it out, and mail it in. Or enroll online. Contact Meghan Tenhoff, Food Access Programs, via email at [email protected] if you have questions. Thank you to those of you who visited our popup farm stands in Shoreline and Northgate last fall. If you have limited resources and use SNAP/ EBT, and food banks to feed yourself and your family — these farm stands are perfect for you! This season, we’ll host a Pop-Up Farm Stand beginning, Wednesday, June 6, 1-4pm, at Meridian Center for Health. For more information email [email protected]. 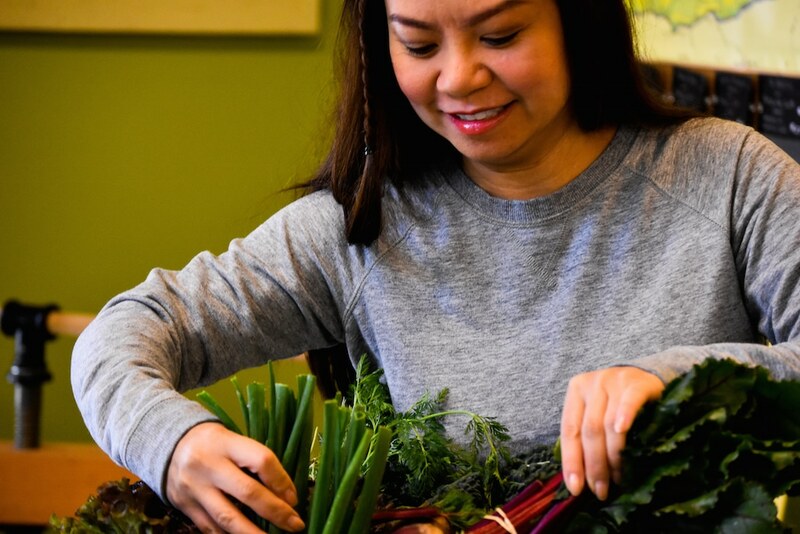 In order to remove barriers and support our community members who are participating in the Harvest Share program as well as other people living on tight budgets, 21 Acres is offering volunteer-run Cooking Workshops. 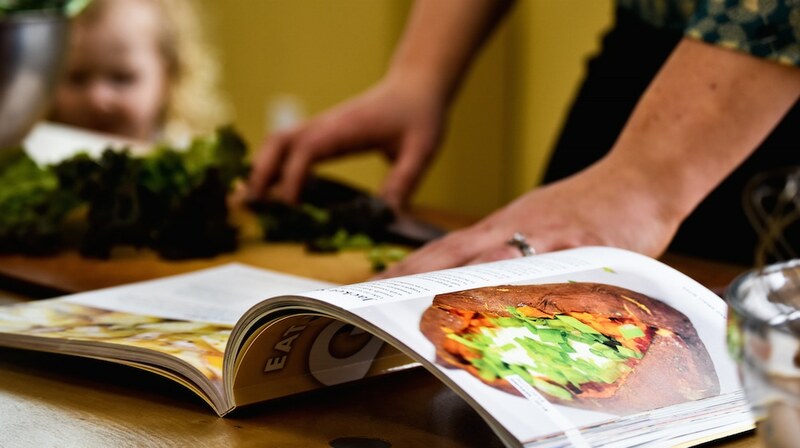 Cooking Workshops provide the opportunity to learn to share skills in the kitchen. Share a meal together and take leftovers home. Bring family and friends and help create a community of all ages. 2018 dates: March 22, April 26, May 24, June 21, July 26, Aug 23, Sept 78, Oct 25, Nov 15. Cost: Sliding scale depending on family size and budget. For details, email [email protected].